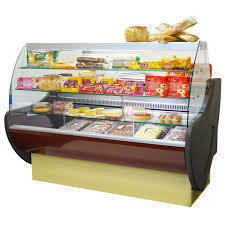 Cool Star Kitchen Equipment Private Limited consider providing quality to be something of high importance. Thus, we engage in the use of the finest quality raw materials that are available in the market and highly modernized equipment. Post manufacturing, all the products are sent for a number of quality examinations for preventing the defective products from reaching the customers. Cool Star is managed by an experienced and leadership team. Most of the members of our team developed their management skills and were involved in building Cool Star with an appropriate approach. Our business leaders combine strategic, operational, financial experience with extensive relationships and expertise within Hospitality Industry. Our efficient and aggressive team of employees helps to assist the clients in best possible manner. A well managed team of Sales, Purchase, Finance, HR Executives has built their skills & Knowledge through their capabilities & determination towards Cool Star and its clients. Cool Star sincerely believe that excellent management & manpower is the foundation of our successful business and we are also determined to derive optimum value from our manpower capabilities.Cool Star sincerely believe that excellent management & manpower is the foundation of our successful business and we are also determined to derive optimum value from our manpower capabilities. Cool Star Professional directors work round-the-clock in different areas comprising Product Design & Improvements, Marketing, Contracts Execution, After-sales Service, Quality Control as well as Finance and Customer Supports, according to their respective area of specialization and core competence. Our experienced design-staff constantly remain in touch with the latest trends and remain in the know with regard to the innovative products that are in great demand.